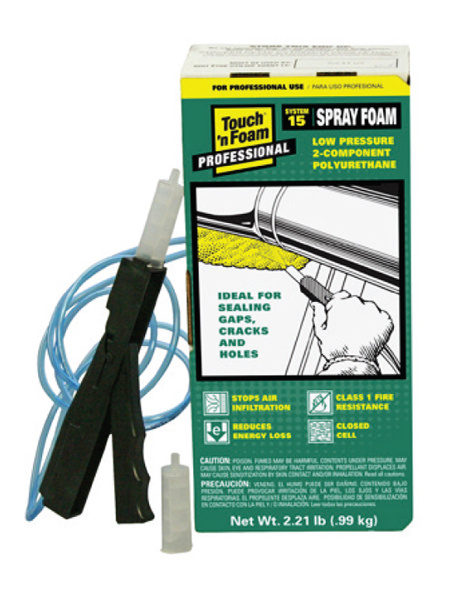 Touch ‘n Foam Pro System 15 is a completely self-contained 2-component foam system that is portable and disposable. Complete with pre-attached hoses and wand applicator, the System 15 provides up to 15 board feet (theoretical) of polyurethane spray foam that expands and cures quickly to insulate gaps, cracks, expansion joints, and other sources of air leakage. It dries in 60 seconds.